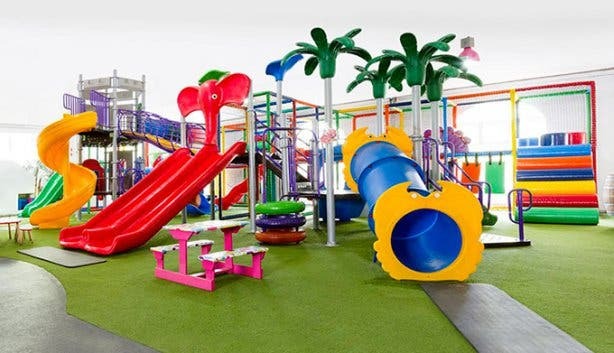 An all-weather theme park with loads of rides and endless play options, awesome parties, food court and fun for the whole family plus, a jumbo slide that even grandpa can enjoy. 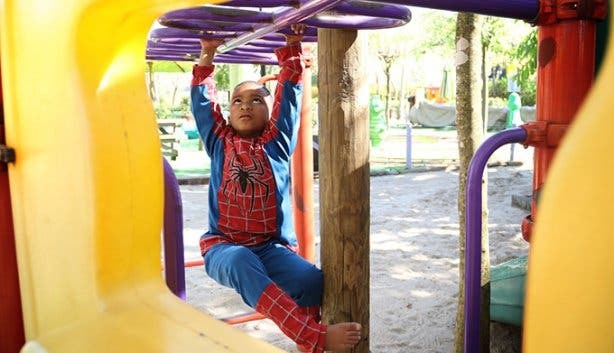 There’s so much fun, education and excitement to unlock at the Western Cape’s largest play area, Bugz Playpark in Kraaifontein. 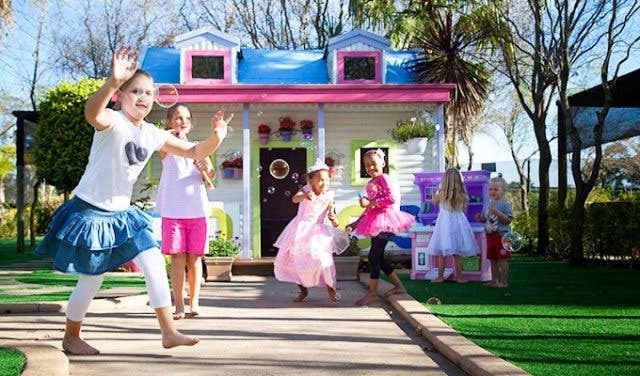 It all started ten years ago, when the Bugz owners ditched the Joburg corporate rat-race life for one with considerably more fresh air in the Cape. 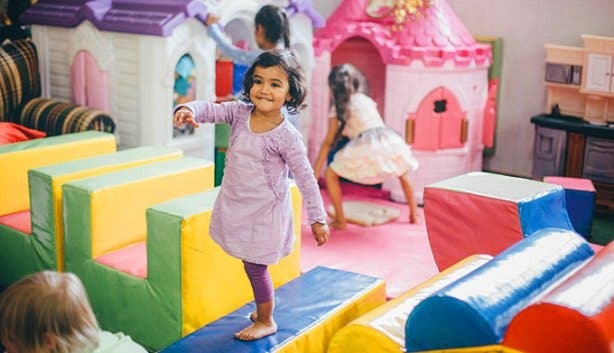 Joining family who owned a nursery (now Cape Garden), they realised the need for keeping the kids busy while the parents shopped and quickly started offering horseback rides at the nursery. A ride on Annie the mare was just R5 back then, and the idea, coupled with a simple hotdog stand, would go on to become one of the Cape’s most exciting and beloved family destinations. 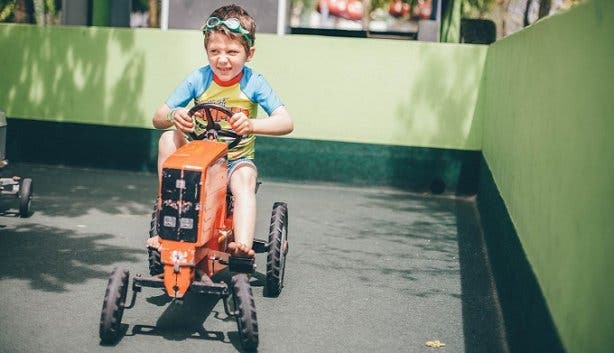 From the animal farm teaching your child the value of caring and social interactions to their gorgeous treehouses encouraging imaginative play and the conquering of fears, the rides and activities at Bugz Playpark are designed around the core concept that old-school play is essential for every child’s emotional, social, creative, cognitive and physical development. 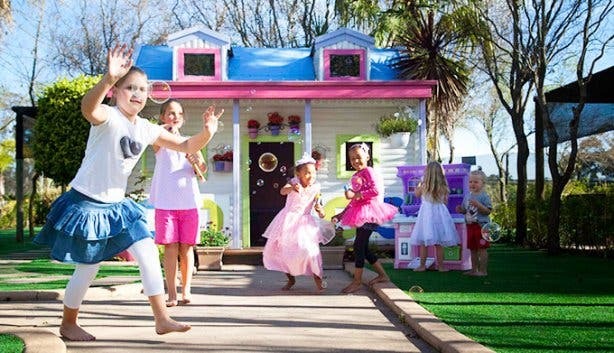 Expect everything from a sandpit to slides, monkey bars to a treehouse, a mud kitchen, dollhouses and jungle gyms. Look out for handy signs next to each activity, detailing age-appropriate use and which skills it develops. And, of course, play is not only limited to outdoor activities. 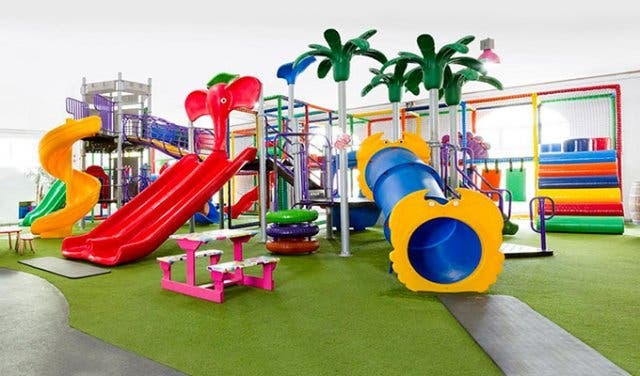 When the weather’s not exactly playing along, Bugz Playpark has plentiful indoor play areas, including soft play, rides, swings, jungle gyms, playhouses and more. There’s also a food court offering a choice of on-the-go snacks such as chips, cold drinks and pork-free boerewors rolls or sit-down family meals at the Bugz Big Bite Restaurant. Tuck into a delicious farmer’s breakfast or try one of their Monster Burgers. While the park’s open for outdoor and indoor play seven days a week, the fun really starts when the rides and animal farm open on weekends and public holidays. 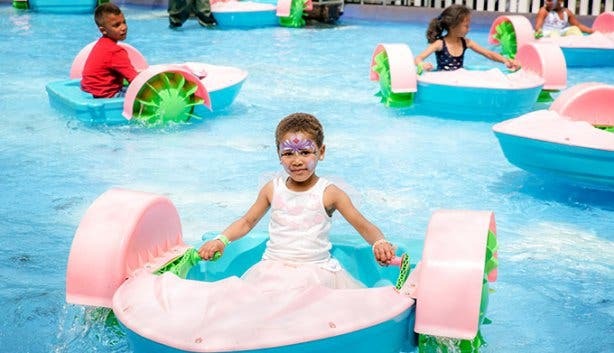 From horse rides to zippy slides, rowboats to pedal bikes, a free-to-ride choo-choo train and (on sunny days) options ranging from an age-appropriate wave slide for 4–10 year olds to an exciting speed water slide for anyone brave enough from 8 years to 60. It’s the kind of experience that’s made for sharing. You know, where you’re encouraged to have fun with your kids. And they’ll probably ask if they can bring their friends along next time, which brings us to the next point: Bugz do birthdays right. 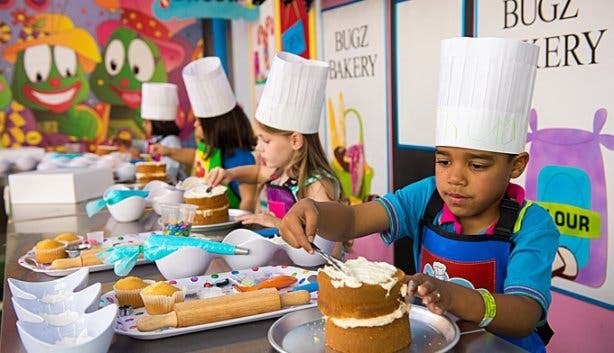 Hosting up to 25 birthday parties every weekend (not to mention plentiful school outings and corporate family days), Bugz Playpark boasts eight themed and fully-equipped indoor party areas, plus, another four outdoor ones. 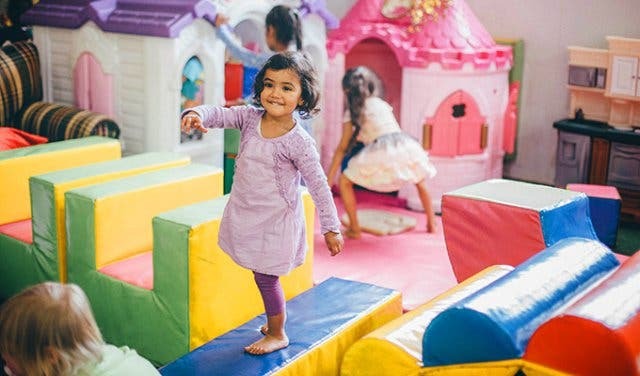 And they cover everything from setup and food (grown-up food too) to a personal helper and customised party packs – all you need to bring is yourself, the kids and the cake. 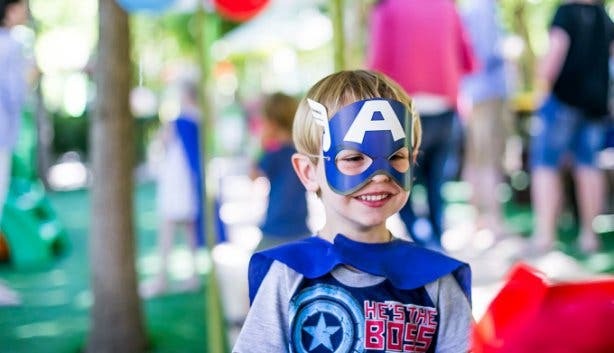 The playpark offers 30 different party themes, from classics like princess, superhero and pirate parties to ‘activity’ themes such as the cooking party: Kids are kitted out with mini workstations, pots and pans to create their own cakes and experiment (safely with ingredients such as fondant icing) in the kitchen. 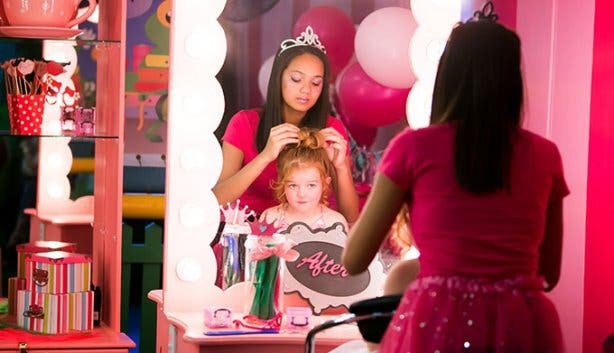 There are also makeover parties, a hit with both children and parents, where Bugz Playpark does the hair, make-up and nails of the girls in a beautiful and fully-equipped room complete with mirrors and lights. Plus: Having your little one’s birthday at Bugz comes with the added bonus of full access to the entire park. 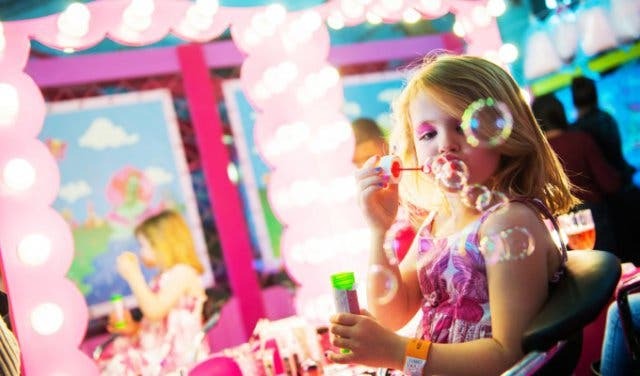 After your two hours in the private area are up, your child and their friends can still play until closing time and even get full access to all the rides. 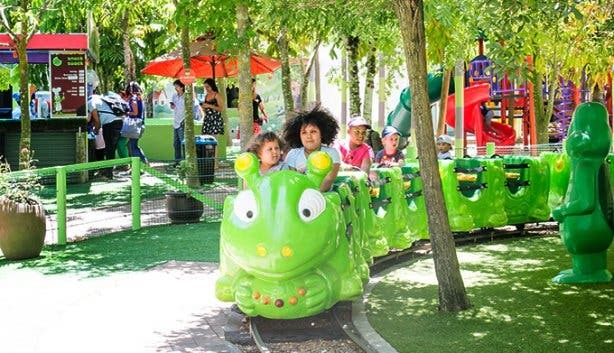 Tip: Opting for the Full VIP Experience at R140 (rather than the standard entrance plus individual token costs for rides) usually works out cheaper if your child wants to experience everything at the park. Open times: Mon–Sun | 9am–5pm (except Christmas Day). Rides only open on weekends, school holidays and public holidays – weather permitting. Keen to visit but wary of crowds? Plan your Bugz fun day on Sunday.